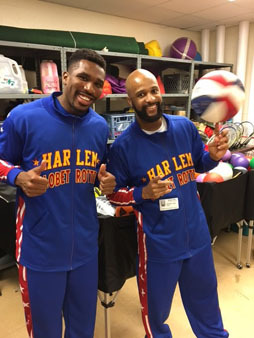 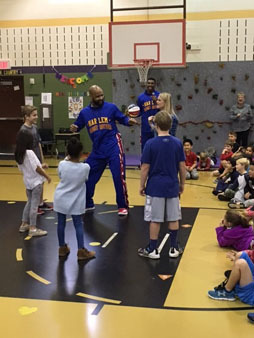 Harlem Globetrotters visited FrostWood Elementary to present the ABC's of bullying prevention and have a little fun too. 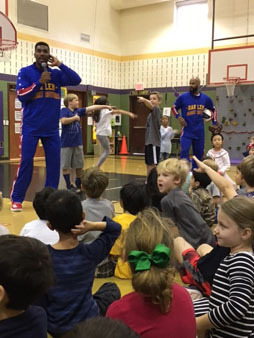 HOUSTON -- Who knows their ABC's? 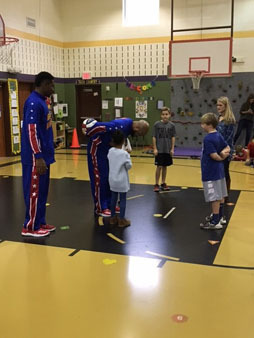 Members of the Harlem Globetrotters team stopped by Frostwood Elementary School to present the ABC's of Bullying Prevention. 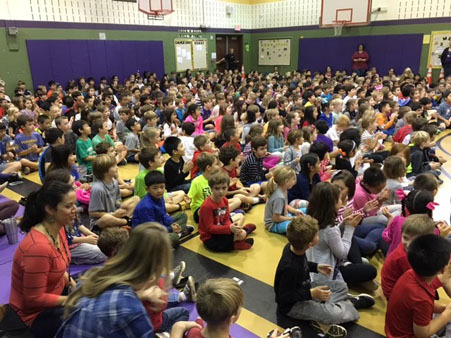 The anti-bullying campaign is part of Disney's Choose Kindness initiative. 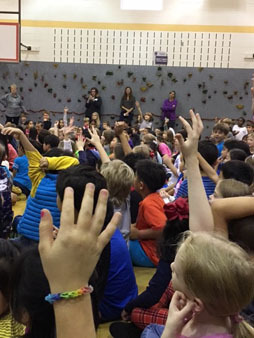 Kids at Frostwood were told to use the ABC's: take Action, be Brave and show Compassion as ways to prevent bullying. 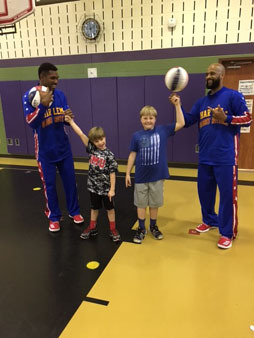 Harlem Globetrotters Thunder and Flight Time had a chance to catch up with 8-year old George. 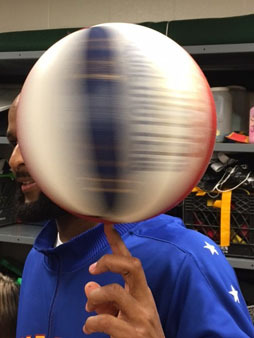 Four years ago, George met the Globetrotters while receiving cancer treatment. 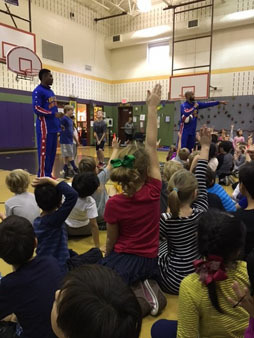 George is now in remission and was excited to see his old friends Flight Time and Thunder. 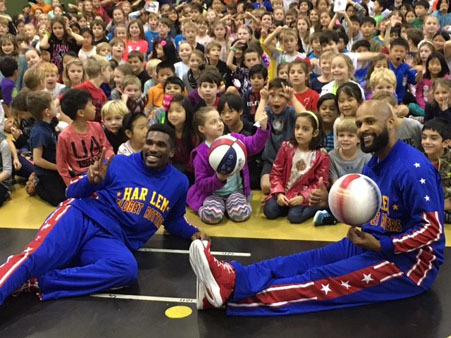 The Globetrotters will play in Houston at NRG Arena Dec 26-27.